William P. Shula Bill is a member of the Rotary Club of Cincinnati and was previously the District 6670 Governor in 2015-16. He began his Rotary membership in the Downtown Peoria, Illinois Club in 2000. He has served on several Cincinnati Rotary Club Committees including Finance, Classification, Jefferson Award and Strategic Planning. He was Treasurer for 2008-09, and President in 2009-10. He is a Rotary International Major Donor, a member of the Paul Harris Society, and member of Cincinnati Legacy Circle. He is an avid supporter of the Rotary International mission to eradicate polio. He enjoys the International focus of Rotary evidenced by attending RI conventions in Birmingham, England, New Orleans and Sydney, Australia. In 2010, he coordinated the raising of $15,000 in Cincinnati for Shelter Boxes to assist with the disaster in Haiti. Bill has served on several District 6670 committees: Interact, Club Expansion, District Conference, Four Way Test Speech Contest, Strategic Planning, Finance, Nominating, District Trainer, Policies and Procedures, All-Ohio PETS, and Foundation. Since 2012 he has served as Assistant Governor for five area Rotary Clubs, District Governor Nominee, and District Governor Elect. Professionally, he was awarded a doctorate from Miami University. Bill has been an educator for 46 years, 40 of them as a school administrator. 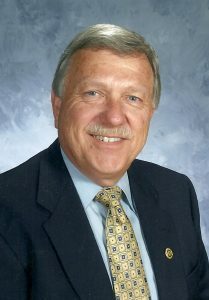 He retired in 1998 as the Superintendent of Bethel-Tate Schools in Clermont County. He recently retired after 13 years at St. Francis de Sales in East Walnut Hills as the school administrator. For the past 28 years, Bill has been a graduate school professor for various universities in Ohio and Illinois. Currently, is a graduate school professor at Xavier University. Personally, Bill is married to Nancy and has three grown children with two terrific grandchildren. Sigrid Solomon was born and raised in Brooklyn, New York and attended boarding school at age of 15. She holds a BS in Industrial and Labor Relations from Cornell University and her M.Ed. from East Carolina University. 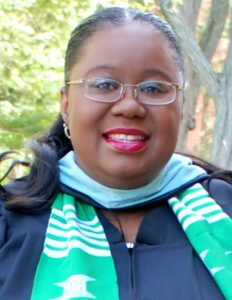 She has been working in higher education since 1993 at various colleges and universities — North Carolina State University, North Carolina Wesleyan University, Emory and Henry College, Southern Vermont College and now at Wilmington College where she has served as the Vice President for Student Affairs and Dean of Students/Title IX Coordinator over the past nine years. Inspired by her experience as a Group Study Exchange participant in the fall of 1998, she began her Rotary journey in 2000 in Abingdon, Virginia, then later joined Wilmington AM club in 2007. Between the two clubs, she has served as Programs Co-chair, Social Co-chair, Club President in 2011-2012, President Elect in 2010-2011, Co-Chair, Wilmington Cardboard City Committee in 2010, 2011, 2012, 2013, 2014, 2015, and 2016 Chair, Rotary Vocational Scholarship Committee in 2010, 2011, 2012, 2013, 2014, 2015, and 2016 and Chair, Rotary 4-Way Test Committee in 2010, 2011, 2012, 2013, 2014, 2015, and 2016 member, 2014, 2015, and 2016 Rotary District 4-Way Test Speech Competition Committee, and Assistant Governor in 13-14, 14-15, and 15-16 Rotary calendar years. She is also a Rotary Paul Harris Fellow. She has two sons, ages 28 and 19, and a host of former foster children. two years on the club’s foundation board, and two years as chair of the club’s committee responsible for acclimating new members to the club. He also served on the Club’s Centennial celebration and Centennial Project committees. Greg is currently District 6670's District Governor Nominee and will serve as District Governor in 2020-2021. Greg served as Assistant District Governor 2014–2017, District Trainer 2017–2018 and is currently the District Grants Subcommittee Chair. He served as member of the 2017 All-Ohio PETS Steering Committee and is again serving on the 2019 Committee. Greg also served as a judge for the District's 2018 4- Way Speech Contest. Greg is a multiple Paul Harris Fellow. 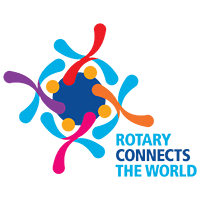 Greg was fortunate to attend Rotary International Conferences in Lisbon Portugal (2013) and Atlanta (2017). 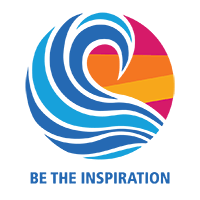 Greg is inspired by Rotarians committed to improving the lives of others and our communities both locally and internationally. Greg is especially inspired by Rotarians around the world working to eradicate polio as he was very close to an aunt who was unable to walk after contracting polio when she was only two years old. Greg was born and raised in Glandorf, Ohio. Thereafter he obtained his Bachelor of Science degree in Business Administration from Bowling Green State University. While at BGSU Greg met Peg, his wife of 34 years. Greg and Peg live in Beavercreek and have 2 children and 3 grandsons. Employed by USI Insurance Services in Dayton, Greg provides property and casualty risk management consulting and insurance placements for commercial businesses. Prior to joining USI in 2000, Greg spent 18 years in various insurance company claim management positions. Greg holds the Chartered Property Casualty Underwriter (CPCU) and Associate in Claims (AIC) professional insurance designations. 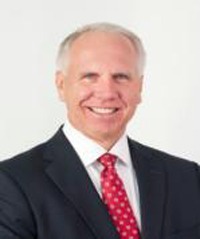 Greg has served as a board member and finance committee member of Family Services in Dayton and as a member for the Dayton Area Chamber of Commerce Safety Committee.